Christmas doesn’t have to be. Anybody else need to relax and just enjoy the season? 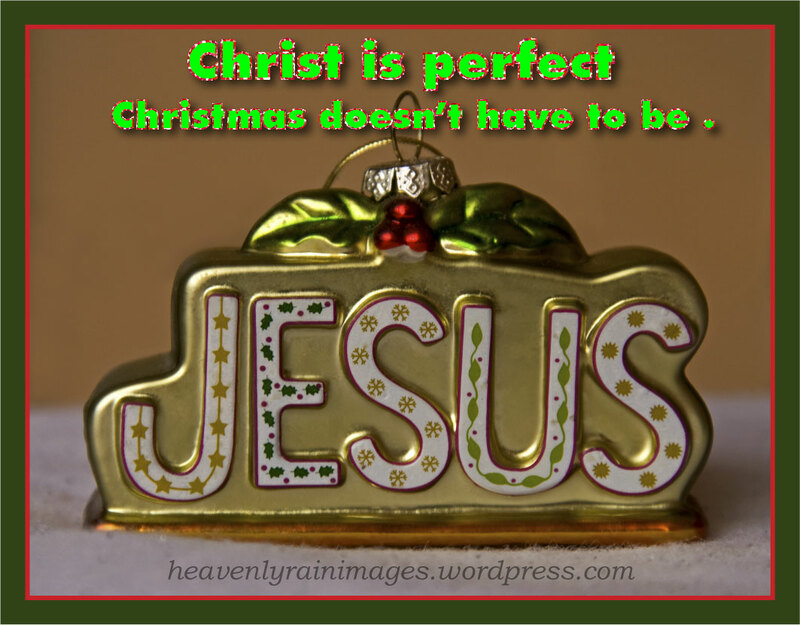 This entry was posted in Random Thoughts and tagged Christ, Christmas, Jesus, ornament, perfect, photo, relax on December 14, 2013 by heavenlyraindrops. Oh wow…never thought it would be interpreted that way. Yikes. Maybe I should revise it. thanks for pointing this out. Great reminder. We all get too busy and caught up in trying to make it perfect. We should just enjoy Jesus. Blessings to you. Yeah. The importance if a period! Didn’t realize this would be a problem the way I had the Jesus ornament underneath my quote. I get kind of tunnel vision while working on these images. But God knows my heart!